Koreans are lost to shame. | Hey, you know what? ホーム > スポンサー広告 > Koreans are lost to shame.ホーム > Korea > Koreans are lost to shame. Koreans are lost to shame. 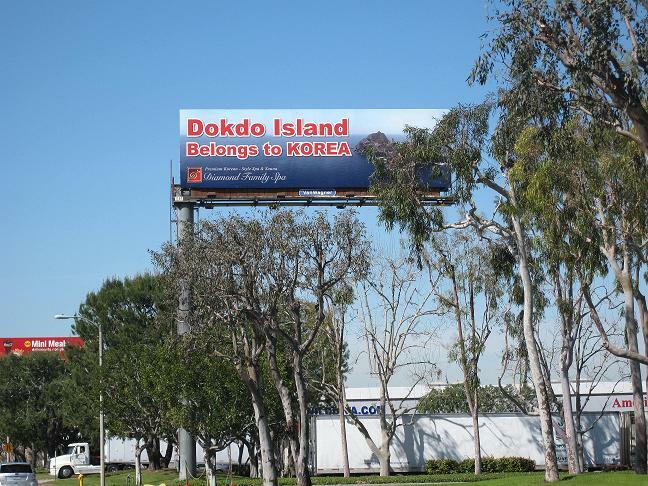 This shameful sigh has been put up by Korean in the suburb of Los Angeles. Why shameful? Because the statement on the sigh is clearly a big lie. I picked up this subject earlier in my blog once. But I’ve got better photos, so I’d like to go into more details concerning the issue of this island. The name of the island is TAKEJIMA and it belongs to Japanese territory. It is true though the island has been militarily occupied by Korean government after World War 2. Koreans insists that they fought a war against the Imperial Japan and the first Korean President Syngman Rhee suddenly drew an unlawful line on the Sea of Japan and started to kill so many Japanese fishermen who were working near the island. Some were captured with their fishing boats to South Korea and tortured with no restitution. There is no historical facts that the Imperial Japan fought a war against South Korea norTAKEJIMA had belonged to Korea. They’re simply saying a big lie with no historical proof. Rather, they believe, if a lie is said more than one hundred times, it becomes a truth. 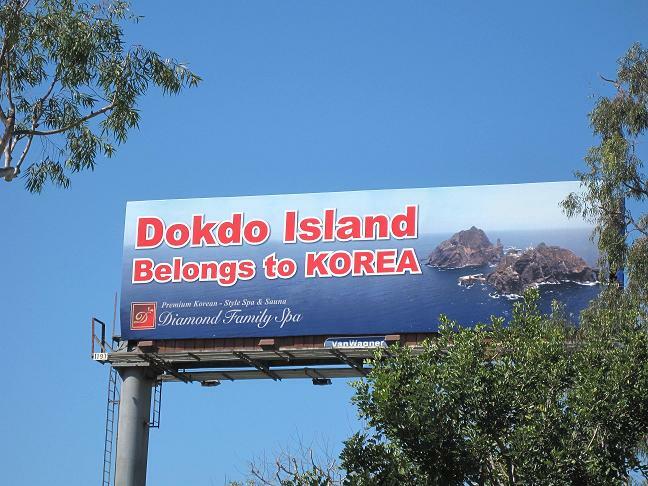 The name of island, ”Dokto” was created by Korean government and they’ve been educating their children a false story, “Dokto belongs to Korea”. One thing I’d like to say is that the United States should say the truth because American Government must know it. Also, the attitude of Japanese government has been too weak to solve this problem. We Japanese nationals do not hesitate to have a war against South Korea because they’re the wrong side. Furthermore, there’s another historical dispute falsely created by Koreans. It’s a matter of “Comfort women during World War 2”. I don’t know why tough, Koreans tell a lot of lies and try to steal from others. Possibly, I guess they don’t have a nerve of shame. They don’t care to copy others’ technologies, cultures traditions, histories as if they were the originators. Even Jesus Christ or Confucian could be Korean in their brain cells.